Can the mighty minnows continue impressive run in the UAE? Or will the big guns start to fire in quarterfinals? LONDON: Asia’s biggest sporting spectacle has reached its quarterfinal stage — and it’s time for teams to find their A-game. While there are few surprises in the last-eight lineup, the form of some of the big-name sides has been less than impressive. Here we deliver our verdict on the second round. The Green Falcons started the tournament at top speed. They came in as one of the cup favorites and in their opening two matches illustrated why. A 4-0 thrashing of North Korea was backed up with a relatively simple 2-0 victory over Lebanon. Understandably, that raised hopes that Juan Antonio Pizzi’s men could go all the way in the UAE. Alas, it was not to be as a 2-0 defeat to Qatar in their last group clash left them with a tricky tie against Japan. For all their efforts Saudi Arabia were unable to find the back of the net, the lack of firepower upfront costing Pizzi’s team yet again. Boosted by the arrival of Tottenham star Son Heung-Min, South Korea were rightly declared the pre-tournament favorites. They had firepower up front, intelligence and creativity in midfield, and experience at the back. In the four matches in the UAE so far, however, they have looked anything but potential champions. 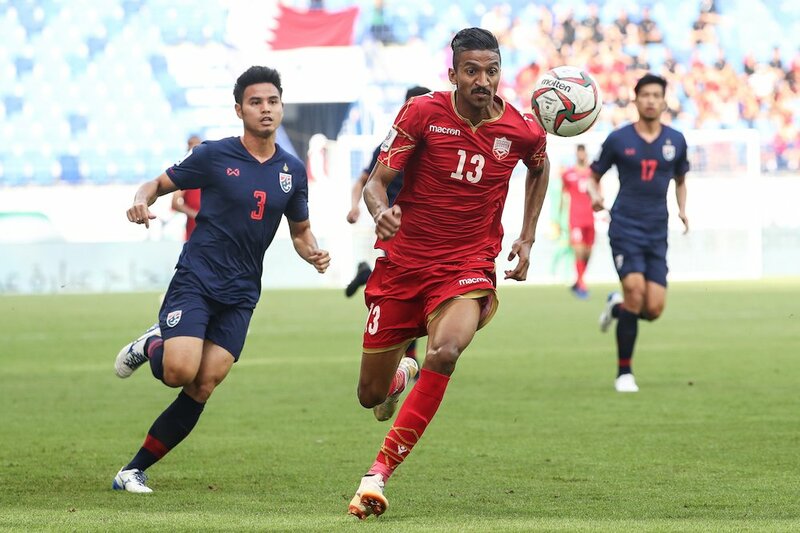 They labored to beat Kyrgyzstan, the Philippines and China in the group stage before almost being shocked by part-timers Bahrain in the second round. 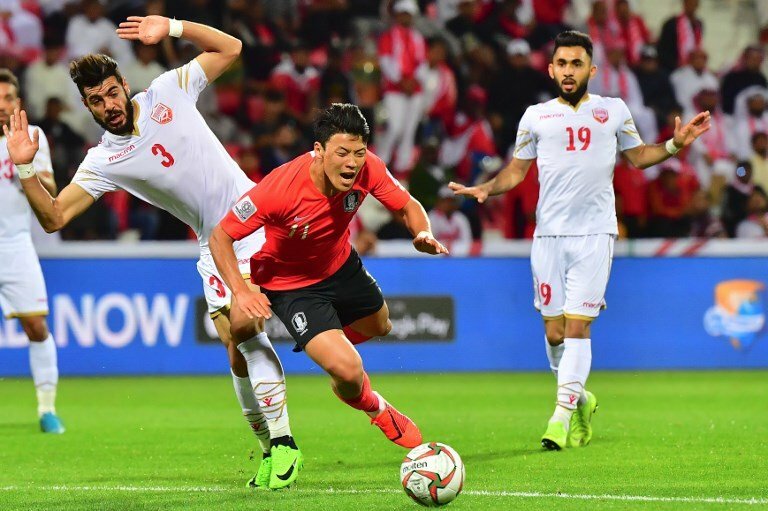 South Korea now face Qatar in the last eight and, as Son said after their extra-time win over Bahrain, they need to significantly improve if they are to avoid a shock exit before the semis. The Whites owe their place in the last eight to luck more than skill. 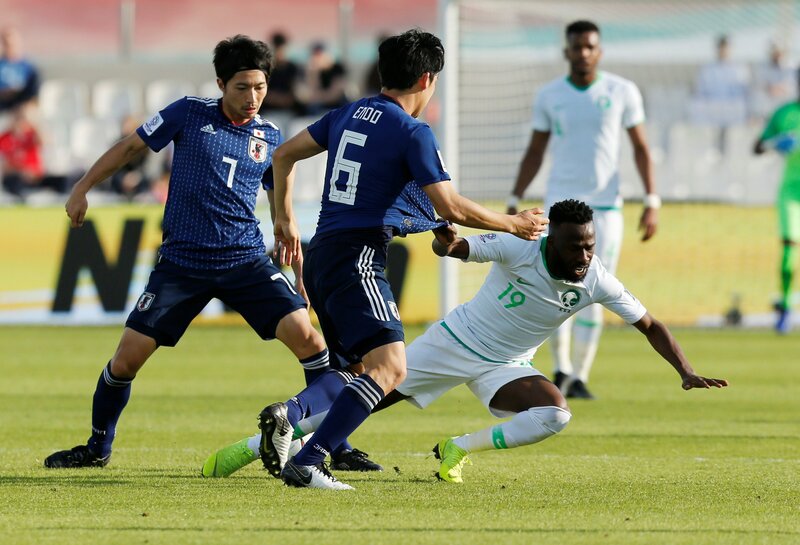 In some ways that is not a surprise — the hosts came into the tournament without their talisman, the injured Omar Abdulrahman, and on the back of a patchy run of form. But, still, the performances on home soil have been underwhelming to say the least. That was summed up with their extra-time win over Kyrgyzstan, who were playing in their first Asian Cup. 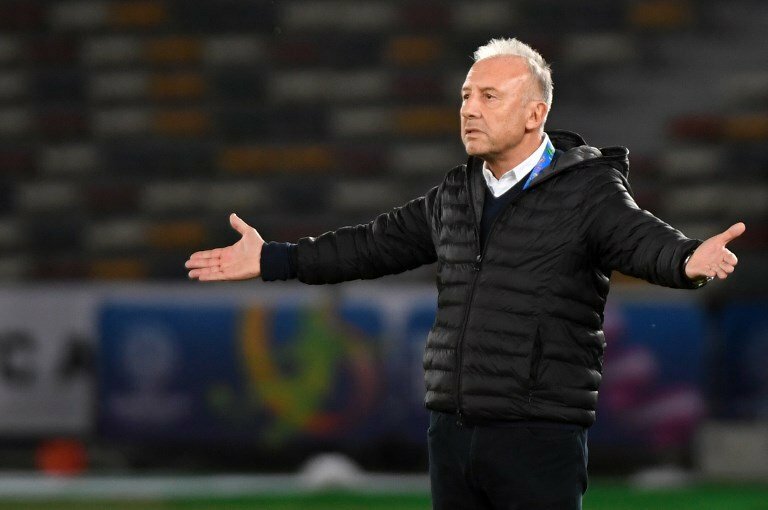 It was a far-from-convincing performance and Central Asians were unlucky not to beat Zaccheroni’s side. The UAE will have to deliver their best performance for some time if they are to progress further. Their opponents, Australia, have also performed poorly, which may offer them some encouragement. The big guns have not had it all their own way. That may annoy their fans, but it does show that Asian football is improving. Only a few years ago the idea that Kyrgyzstan, Bahrain and Jordan would look the equals of Australia and Co. would have seemed fanciful. But in the past two weeks the standard shown by the so-called lesser lights has been impressive — and great to watch. 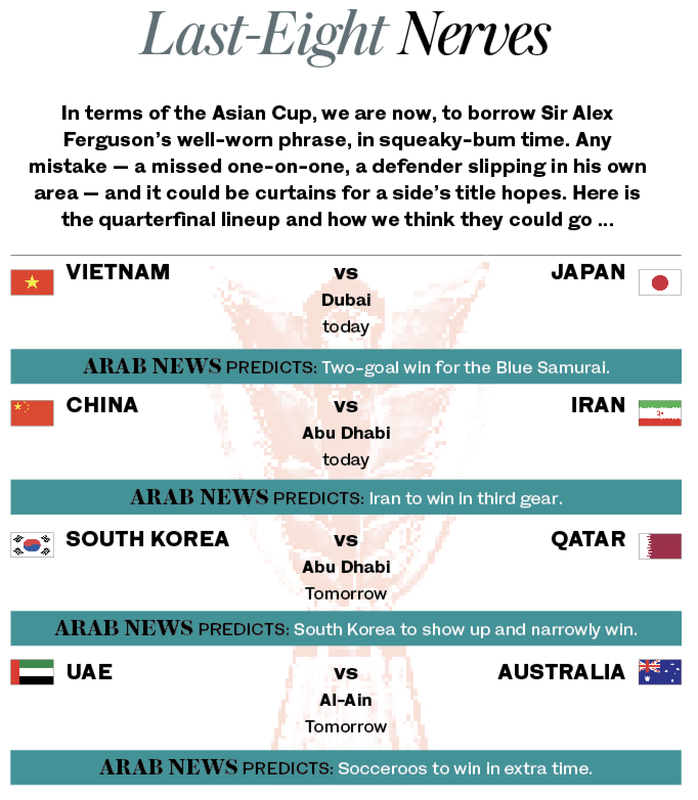 Last summer five Asian teams appeared at the World Cup for the first time and it was hoped that showing would act as a springboard for further progress across the continent. On the evidence of the action in the UAE that wish could be coming true.